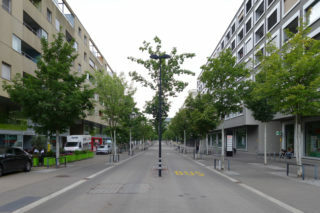 Um urbane Qualität zu sichern und entwickeln beschreiben wir Landschaftstypen, schildern das Beispiel Langstrasse Zürich, entwickeln Strategien für öffentliche Räume in ehemaligen Krisengebieten und folgen RadfahrerInnen auf ihrer Route. Derweil geht Prof. Dr. Tom Avermaete gegen das Vergessen in der Architektur an, in unserem Interview erfahren Sie wie. Um die Qualität von Landschaften sowohl im urbanen als auch im ländlichen Raum zu sichern und gemäss entsprechenden Zielen zu entwickeln, ist eine flächendeckende Beschreibung der vorhandenen Landschaftstypen nötig. 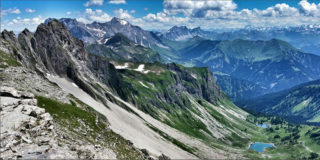 Diese dient als Grundlage zur Festlegung von Entwicklungszielen, zur Ausscheidung von besonders schützenswerten Gebieten sowie zur Beobachtung der längerfristigen Entwicklung der Landschaften. 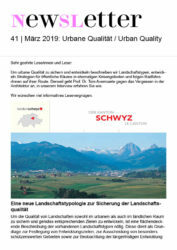 Urbane Qualitäten sind heute in der Schweiz zu einem wichtigen Thema geworden. Fragen der Verdichtung, des Umgangs mit der Zersiedlung, der nachhaltigen Entwicklung, aber auch die steigende Nachfrage nach urbanem Wohnen und Arbeiten haben die Frage aufgeworfen, wie sich heute urbane Quartiere neu bauen lassen. Dabei lässt sich von der Zürcher Langstrassse einiges lernen. 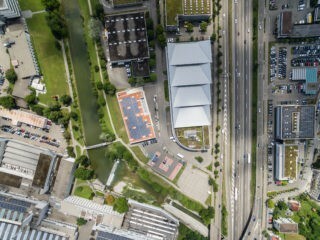 Diesen Fragen geht eine Ausstellung im kürzlich eröffneten Zentrum Architektur Zürich (ZAZ) im Museum Bellerive nach. Daily news headlines inform us about crises situations due to conflict and economic issues leading to soaring hunger and mass emigrations in various parts of the world. 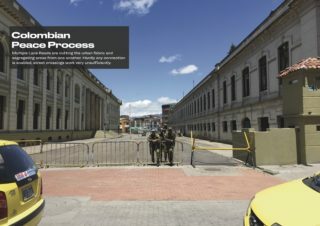 The ongoing research efforts at our chair in post-conflict Colombia, post-apartheid South Africa, and Ex-Yugoslavia focuses on creating synergies between city, research and integrative design strategies in the built environment. As interest in cycling as a mode of transport rises concurrently with a rise in bicycle traffic volumes in Germany, modeling cyclists’ decisions gains importance. 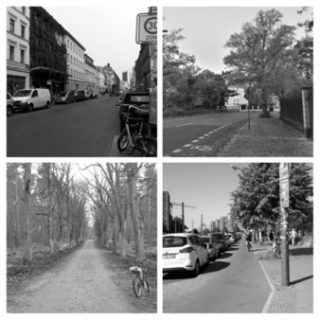 A recently completed online survey shows that in addition to commonly considered attributes like pavement type, the urban design characteristics «complexity» and «streetscape design» also have an effect on cyclists’ decisions to choose one route over another. ETH Zurich has launched the ETH Mobility Initiative together with the Swiss Federal Railways (SBB) as first partner to further expand research and education in the area of mobility. The call for new partners and proposals is now open. Within this framework, a long-term research programme is being established aiming at bringing together competences from academic and industrial research in the field of future mobility. The overarching goal is to develop solutions that address grand challenges like the decarbonisation, digitalisation and development of the infrastructure in the coming decades. Should you be interested in supporting this project and become a partner of the initiative, please contact the ETH Foundation. The 2nd call for proposals is open 15 February to 6 May 2019. PuSH, a large, innovative European research project, has achieved funding from the EU HERA programme Public Spaces: Culture and Integration in Europe (2019–2022). 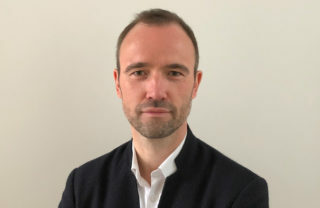 Distinguished researchers and non-academic partners from Denmark, Switzerland, Norway and Italy have achieved success in the face of fierce international competition, receiving €1 million from the EU HERA programme for the collaborative research project Public Space in European Social Housing (PuSH). The project aims to push forward our knowledge about the integration processes and cultural encounters that take place in shared spaces on social housing estates in Europe. 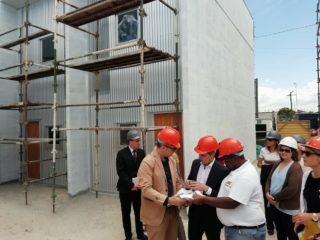 Swiss Federal Council member Ignazio Cassis visited the site of the Empower Shack Project in the township of Khayelitsha in South Africa, meeting Prof. Hubert Klumpner on site. Together with the Swiss Ambassador, they spoke at length about the project’s potential to reshape housing policy in post-apartheid South Africa. The Empower Shack project aims to reshape the approach to informal settlement upgrading by offering an innovative and inclusive methodology for the fair distribution of public space, delivery of basic services, and an urbanization scheme that combines housing upgrades with a safer urban environment and new economic and social possibilities. He posted about it later on in his social media account. Application window until 30 June 2019. 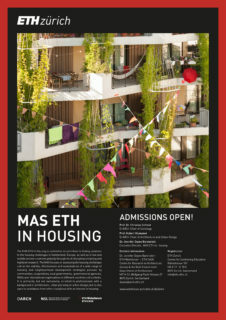 The MAS ETH in Housing is committed to contribute to finding solutions to the housing challenges in Switzerland, Europe, as well as in low and middle income countries globally through multi disciplinary training and highlevel research. Biological diversity is known to enhance the resilience of ecosystems to environmental change. 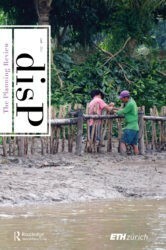 It is, however, unclear whether a high diversity of social actors analogously increases the capacity of social-ecological systems to maintain the provision of ecosystem services while undergoing socio-economic and climate changes. Here, using an empirically informed agent-based modelling approach, we demonstrate that both the number of actors (actors richness) and the diversity of the abilities and skills that characterize their management capabilities (actors’ functional diversity) are key determinants of the resilience of social-ecological systems to global change. Acculturating the Shopping Centre examines whether the shopping centre should be qualified as a global architectural type that effortlessly moves across national and cultural borders in the slipstream of neo-liberal globalization, or should instead be understood as a geographically and temporally bound expression of negotiations between mall developers (representatives of a global logic of capitalist accumulation) on the one hand, and local actors (architects/governments/citizens) on the other. 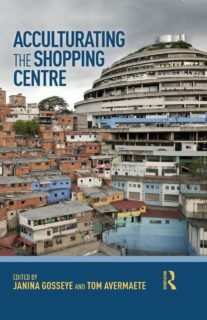 In exploring how the shopping centre adapts to different cultural contexts, this publication highlights the importance of the shopping centre as an urban figure of collectivity that has the capacity to disrupt and even amend the conditions that it encounters. Book launch, Monday 6 May 2019, 16:00 | ONA, Fokushalle, Neunbrunnenstrasse 50, Zürich. With Marc Angélil, Cary Siress, and Hans Frei. 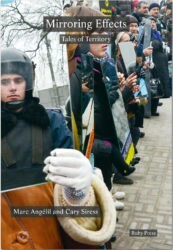 Mirroring Effects, written by Marc Angélil and Cary Siress, analyses political and economic practices concerning environment-making in the contemporary world. The presented case studies unfold as real-life tales chronicling mutually reinforcing processes that bind urbanization to capitalism. Taken together, the tales narrate the ongoing restructuration of built and lived spaces in diverse regions of the Global North and Global South, charting the course of capital-led development in settings such as Addis Ababa, Mumbai, Cairo, São Paulo, Berlin, Paris, and Shanghai. The stories told, if casually overheard, could just as easily be misconstrued as the stuff of incredible fables. But real they are. 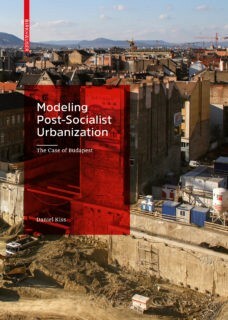 Modeling Post-Socialist Urbanization: The Case of Budapest (Basel: Birhäuser Verlag, 2019), das neue Buch von Dr. Daniel Kiss, Dozent am Institut für Städtebau der ETH Zürich, untersucht Budapests Stadtentwicklung, -planung und -regierung zwischen 1990 und 2010. Angesichts der strukturellen Vermächtnisse sozialistischer Urbanisierung, der jüngsten radikalen Dezentralisierung von Regierung und Ressourcen und der Auswirkungen eines postsozialistischen Kulturkampfs wird ein Trend analysiert, der zu einer Urbanisierung getrieben von geschäftsdominierten Entwicklungsprojekten führt, wobei eine übergeordnete Vision wie die Stadt ausgeprägt werden soll fehlt. This second volume in the Indicia series focuses on the tools, methods and approaches needed for research on future cities. Following Marshall McLuhan’s famous provocation, we focus less on the ‘message’ and more on the ‘medium’ of research. 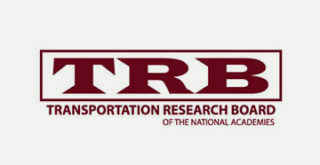 This involves retreating from research contents—the topics, themes, questions, hypotheses, insights, ideas, concepts and thoughts—for the moment to consider the materials, methods, tools, techniques and approaches that support them. 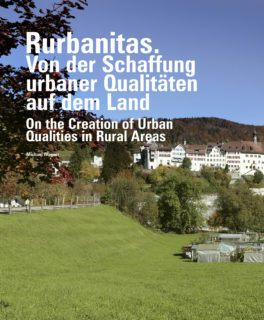 The revised Swiss Spatial Planning Law, which came into effect in 2014, and the minimum strategy of «inward development before outward development» obligate municipalities to direct their spatial development toward existing, largely built-up spaces, and to coordinate building zone dimensioning across municipal boundaries. 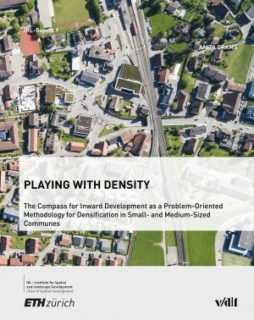 For many small- and medium-sized municipalities in Switzerland, this means changing thought patterns with regard to spatial planning practice. 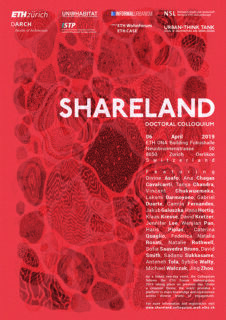 2 April 2019, 17:00–18:00 | ETH Zurich, Zentrum, Auditorium Maximum (HG F 30). 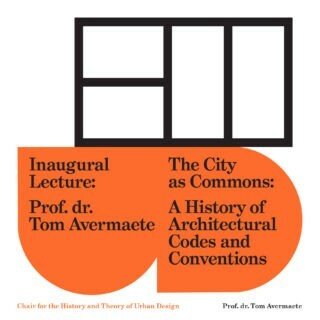 Inaugural Lecture of Prof. Dr. Tom Avermaete. The architecture of the city has always been based on a set of common codes and conventions. Explicated in texts, drawings and models or tacitly defined as compositional principles, typological choices or construction modes, these codes and conventions represent a specific conception of the city and urbanity. During the twentieth century we have been inculcated with the idea that urban norms and forms are articulated by either the state or the market, and are thus either exclusively public or private. As a result, our understanding of urban codes and conventions as ‘common matter’ has vanished. 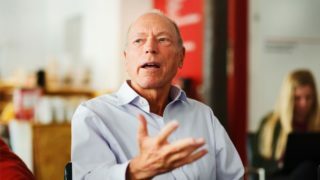 3 April 2019, 09:30–15:30 | ETH Zurich, Hönggerberg, HIL E4. 3. 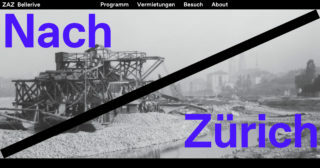 April 2019, 19.00 | Ausstellungseröffnung. Ausstellung 4. April – 25. August 2019 | Mittwoch bis Sonntag 14:00 – 18:00 Uhr. Was ist Zürich? 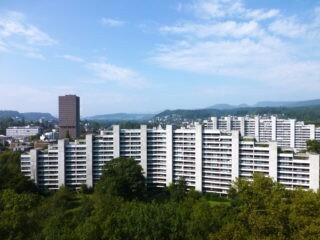 Die Ausstellung Nach Zürich beleuchtet Meilensteine der Stadtentwicklung: die Anlage der Parks am See unter der Leitung von Arnold Bürkli, der genossenschaftliche Wohnungsbau des Roten Zürich, die Modernisierung der Nachkriegszeit mit ihren Metropolenträumen und teilweise gescheiterten Verkehrsprojekten, der Bau der S-Bahn und die grossflächige Urbanisierung zum heutigen Metropolitanraum, und schliesslich die Gentrifizierung und innere Verdichtung der letzten zwei Jahrzehnte. 11. April and 16. 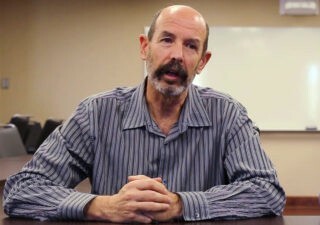 May 2019. SCCER Mobility Young Talent Development Program. 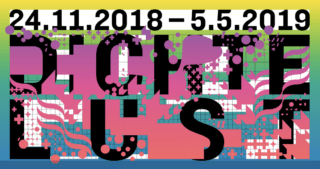 24 November 2018 – 5 May 2019 | SAM Basel. Ausstellung | Exhibition. 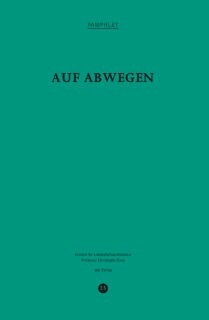 Formen des urbanen Zusammenlebens in der Schweiz. 14 May 2019 | ETH main building HG G 60 (Semper-Aula), Rämistrasse 101, Zurich. Logistics and mobility of goods is facing relevant substantial challenges, which are mostly invisible to users, differently from the challenges of personal mobility, such as delays, traffic jams, etc, which we witness daily. This event is to make a comprehensive analysis of the current challenges and solutions for logistics in delivery and urban contexts. 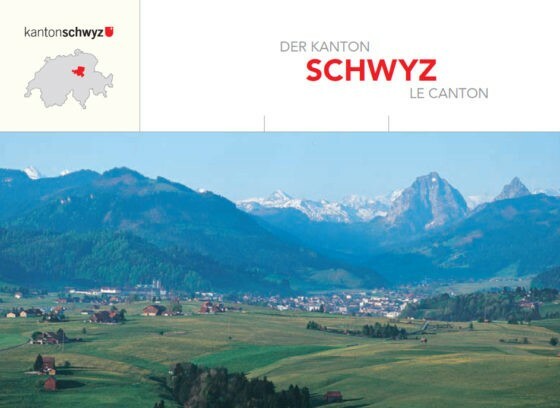 17 May 2019, 09:00–12:00 | ETH Zurich, Hönggerberg, HIT E 51 (Siemens-Auditorium). Our histories of urban design and architecture remain sur­ prisingly eurocentric, while important developments occur in other geographies. This colloquium explores the possibili­ ties of a more global perspective on architecture and the city. 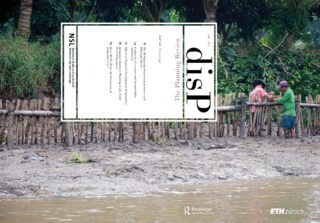 Prominent scholars from other disciplines share approaches that can inspire new global histories of architecture and urban design. 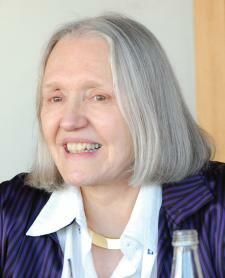 The colloquium is open to the public. An additional methodo­logical workshop in the afternoon requires registration. 12. November 2019 | ETH Zürich, Zentrum, Auditorium Maximum (HG F 30). Bauten und Anlagen im ländlichen Raum sind grundsätzlich eine Voraussetzung für dessen wirtschaftliche Entwicklung. Gleichzeitig bedeuten sie Eingriffe in die Landschaft und sind Ursache von Zersiedelung und Flächenverbrauch. Die Tagung Landmanagement 2019 soll die aktuellen Rahmen­ bedingungen und Schwierigkeiten für das Bauen im ländlichen Raum klären und aufzeigen, was das Landmanagement zu einer nachhaltigen, auf die standortspezifischen Herausforde­rungen ausgerichteten Entwicklung beitragen kann. Im Auftrag der Kuratoren hat die Spin-off-Firma Scanvision der Professur Christophe Girot in der Ausstellung grossformatige audio-visuelle Installationen realisiert. 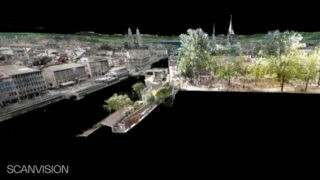 Scanvision konzipierte dafür vier Flüge durch Punktwolken-Modelle von Zürich – entlang der Töss und ihren einstigen Fabriken, durch die Zürcher Altstadt, in die ungeahnten Tiefen des Hauptbahnhofs sowie zum Seegrund und zur Wasserversorgung.